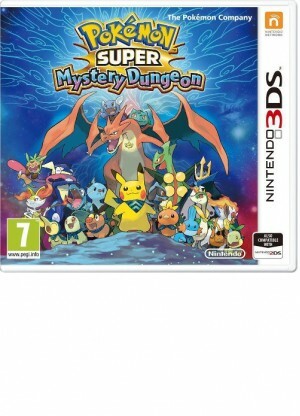 In the Pokémon Super Mystery Dungeon game, the player will be transformed into one of 20 Pokémon as they set out on an adventure in a world inhabited solely by the 720 discovered Pokémon. This game boasts hours of replay-ability as each dungeon is randomly generated, so you’ll never explore the same dungeon twice as you unravel this tale of adventure and mystery. The player can choose their playable character and their partner Pokémon from a selection of 20 Pokémon. All 720 discovered Pokémon appear in this game, including Legendary and Mythical Pokémon. Mystery Dungeons are found everywhere and they change their form every time they are entered. The items and treasures will also change every time you enter. The partner Pokémon supports the player and their friendship will help to solve the mystery of why Pokémon are being turned into stone! Battle alongside Legendary and Mythical Pokémon to save the world from a crisis in a tale of unprecedented scale.